“Based on what I had read from Piper and a few other owners I knew this would be a good aircraft. My demo flight confirmed that, but it wasn’t until I got N831CY (serial number 38) and started flying it on a wide variety of missions did I really understand how great the M600 truly is. Other owners have said this; but the aircraft is really understated. When I say understated, I mean that its flying qualities and performance are far, far superior to all other previous PA-46 variants. Looking only at the Piper brochures and online description of the M600 you don’t get a true feel for how different this aircraft is from the M350/Mirage or the Meridian/M500. Let me summarize the practical differences as I see them. The moment you start taxing the M600 you know you’re in a much different aircraft. It feels solid and sure of itself. The increased weight and wider placement of the main gear make it feel like a larger aircraft even though it is not. This ground handling sureness continues throughout the takeoff roll and liftoff. The aircraft does not have the tendency to wander or “twitch” while on the ground. Climb performance is great and easily meets or exceeds the POH numbers. I frequently fly the aircraft at max gross weight and can barely feel the difference in climb performance from a more lightly loaded condition. The range and payload numbers are really what sets this aircraft apart from others. I’m based in Leesburg VA and have made several trips to Florida non-stop landing with over 2 hours of fuel. This week I and my wife flew from Leesburg to Scottsdale Arizona one stop with a pretty good headwind. This is an aircraft that you can load up with 4, 5 or even 6 people and go somewhere. Piper’s marketing and performance numbers, as well as the POH numbers, are accurately stated and in some areas understated. This aircraft performs as advertised. One area that you can’t really quantify is ride quality, but I want to state that the ride quality in turbulence is just superb. My wife, a non-pilot, but a regular flyer with me in my Mirage and now the M600 immediately noticed it. A smoother ride definitely puts passengers at ease and makes them willing travelers on future flights. This ride quality improvement is not a minor subtle factor, it’s real. 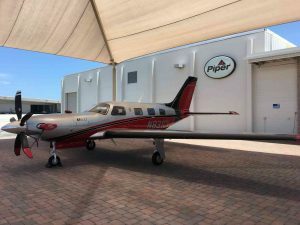 When I started to consider the M600 I was disappointed that the aircraft was not offered with the G1000, as that is what I knew and felt comfortable with. I questioned the need for the G3000 as the G1000 did everything I need it to do. How could you significantly improve over an already very capable avionics system? Boy was I wrong! The G3000 provides the same functionality as the G1000, but with much greater flexibility and ease of operation. Splitting screens with multiple information sources dependent on phases of flight or flight condition is a huge step up from previous avionics. Transitioning to the M600 was easy, in fact much easier than I expected. Not only was the transition easy, but operating and flying the aircraft is far easier than my Mirage or other complex reciprocating aircraft. No more mixture control, no more prop control, no more monitoring six CHTs, no more switching from left to right fuel tanks, no more adjustments on the pressurization system, no more maintenance oil changes. A turbine does have few new things to monitor and be mindful of, but it’s much, much simpler than operating a recip. The training included with the aircraft purchase and provided by Legacy Flight Training in Vero Beach was thorough and professional. Legacy not only provided me with what I needed to know to operate the aircraft, but they made it a truly enjoyable experience. My landings in this aircraft are much better than in the Mirage. I know I didn’t instantly become a better pilot, it’s that the M600 doesn’t have a tendency to float in the flare and when the aircraft touches down it says firmly planted and stable on the runway. Beta, and if needed reverse on the prop make the ground roll almost insignificant. The upgraded interior really adds to the overall aircraft appearance. Interior materials and overall design are on par with much larger executive aircraft. There is a real wow factor when first-time flyers come onboard. With over 150 hours on the aircraft, I’ve had remarkably few maintenance issues. The two minor maintenance items I had were quickly addressed and repaired within half a day. That’s amazing for an early serial number aircraft on a new model release. The buying experience and service support at Skytech has been outstanding. Tony Sammartino in sales made the buying process effortless and he attended meticulously to all details such as database subscriptions, phone activation, XM weather service activation and scheduling of my training at Legacy. Tony continues to provide support whenever I have a question on the aircraft or its operation. He’s an experienced professional pilot always ready to respond back quickly to my questions. Mike Myers and the team in maintenance have continued to provide the same outstanding support I received with my Mirage. My previous excellent maintenance support from SkyTech factored significantly into staying with the Piper brand. 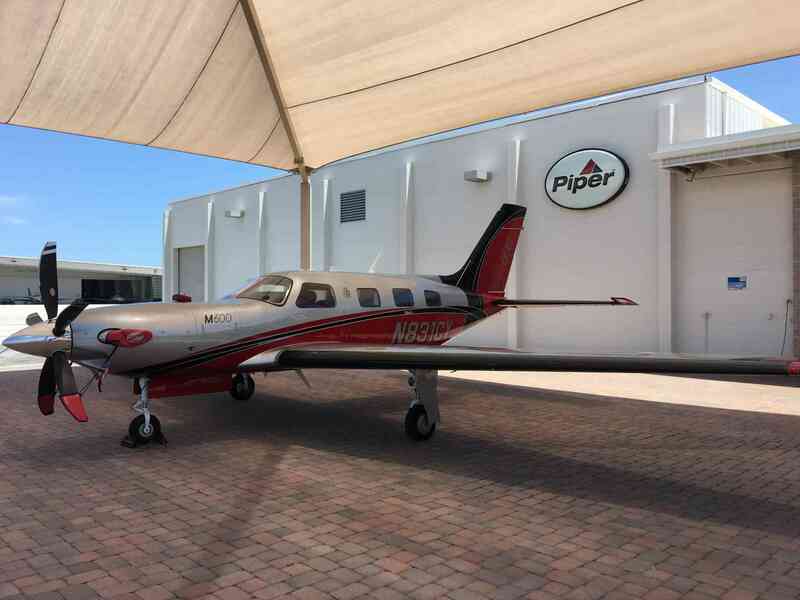 Interested in the Piper M600? Contact a Skytech Piper Sales Representative for information.